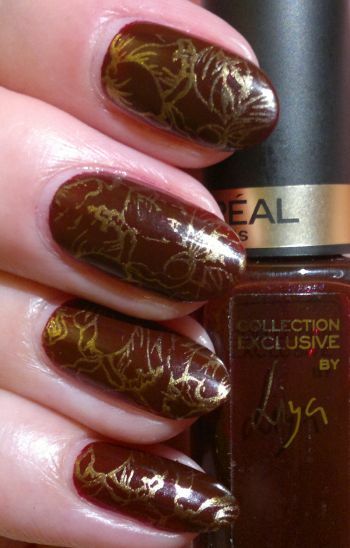 For this mani I painted my nails with L’Oréal Collection Exclusive by Liya – Liya’s Pure Red (2 coats). 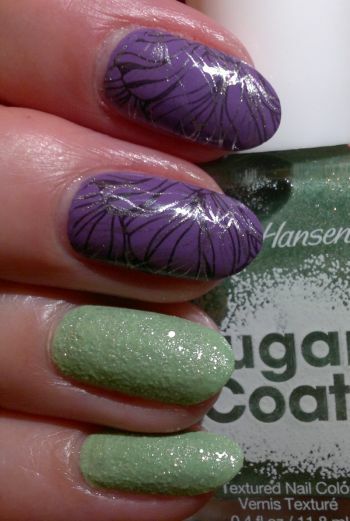 I decided to stamp, and I used Pueen‘s 106 plate (which is part of Pueen‘s cute Make Your Day stamping plate collection). 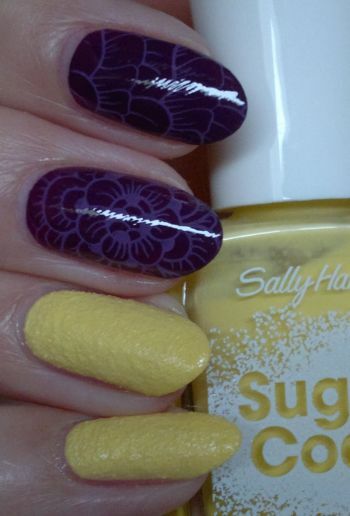 The gold polish I stamped with is Sally Hansen Complete Salon Manicure 819 Coat Of Arms. Hi there! 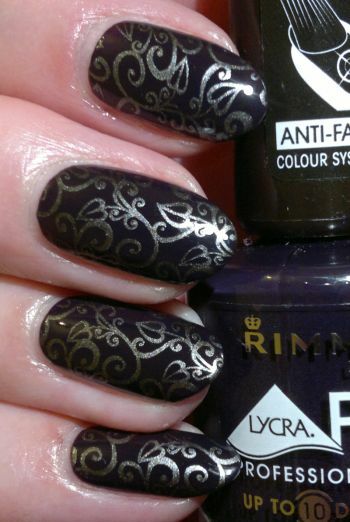 Today’s post is about a mani I did a long time ago. I think this one’s from last summer! Oops! 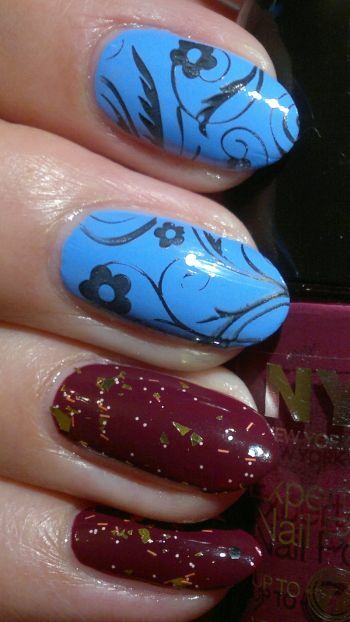 Ayhoo… for this mani I painted my nails with Rimmel 860 Bestival Blue (2 coats, middle and index fingers, thumbs) and NYC Expert Last 205 Boundless Berry (2 coats, ring fingers, pinkies). 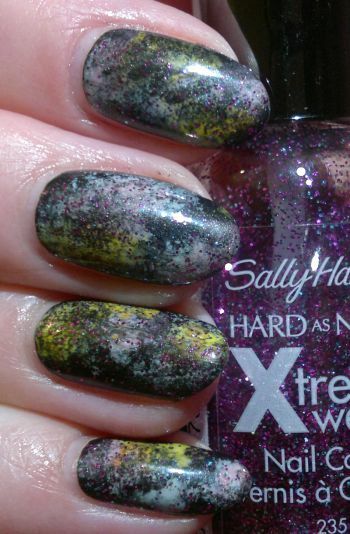 I wanted glitter, but I also wanted to stamp so… the pretty glitter top coat I used is Sally Hansen Complete Salon Manicure 833 Vintage Confetti. 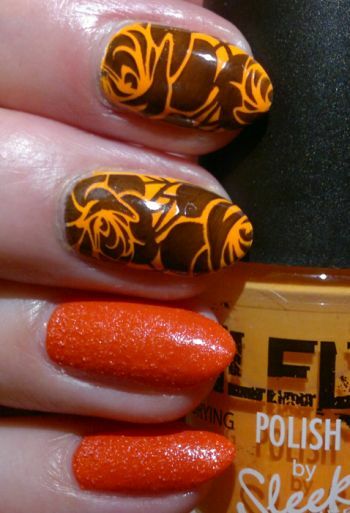 I used Bundle Monster‘s BM-719 plate (which is part of Bundle Monster‘s amazing Secret Garden stamping plate collection).